The Biomimicry Institute hosts AskNature, the world’s most comprehensive catalog of biomimicry education resources, biomimetic design solutions, and inspiring natural phenomena. Get started finding resources for your students at www.asknature.org/resources. Our annual design competitions provide a platform for learning and practicing biomimicry, while using it as a lens to help create nature-inspired solutions to climate change. Learn about our current challenges for students and professionals at www.challenge.biomimicry.org. Join the Network to connect with other biomimicry educators around the world. Build your team or district’s knowledge with professional development workshops customized for your organization. Our approach focuses on engaging educators directly in a design experience and providing unique opportunities to reconnect with nature. On-site workshops can vary from one-half to multiple days depending on your needs. Contact us to learn more: info@biomimicry.org. 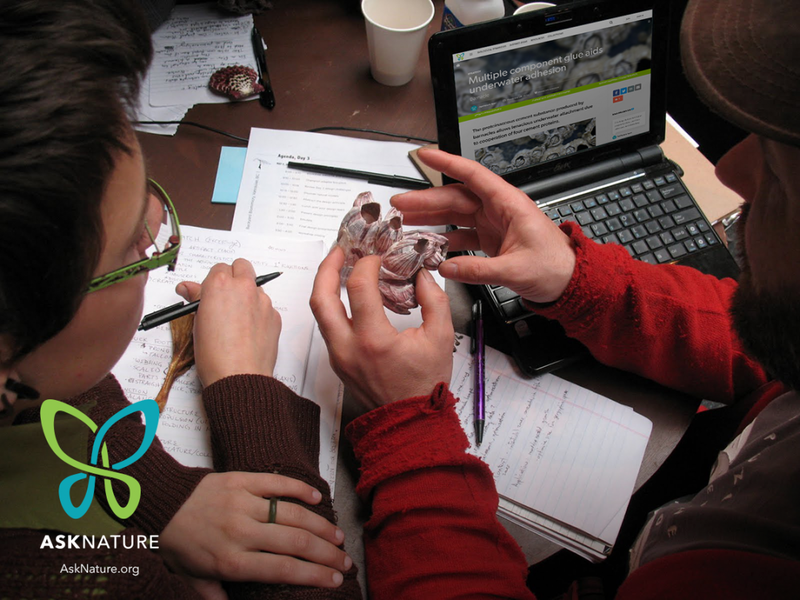 Our biomimicry subject matter experts are available to collaborate with your team to develop original content for biomimicry curricula, educational programs, museum exhibits, and more. Contact us to learn more: info@biomimicry.org.